1. Editorial cartoonists often use humor to make light of serious situations. 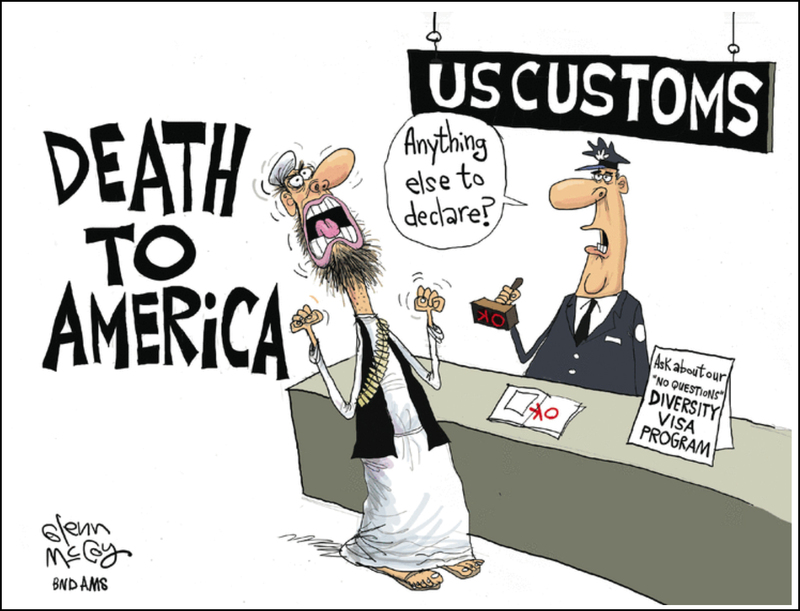 What comic device does the cartoonist use to highlight the problems with the Diversity Visa Lottery Program?